Ask any CMO what keeps them awake at night, and chances are you’ll hear about the rapidly changing environments in which their brands compete. From big to small, brands in every category are wrestling with shifting landscapes and how to stay relevant. Survival of the fittest is defined as "a natural process resulting in the evolution of organisms best suited for their environment." Survival is not about being the biggest or even the strongest; it’s about being the best fit for the environment. Just like polar bears in the Arctic Circle, a successful brand has evolved precisely for its environment. No matter how big or dominant your brand is, if it’s out of sync with its environment, it will face the same challenges that the polar bear faces as the Arctic Circle begins to melt. 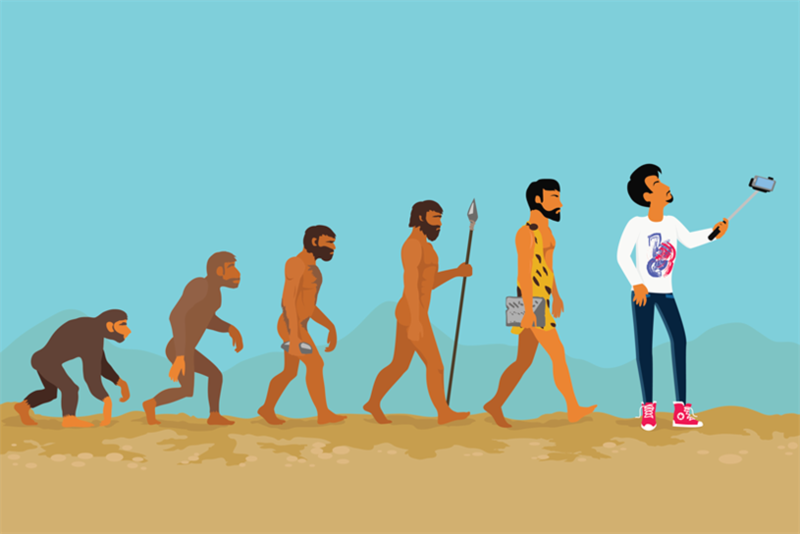 The roadmap for successful evolution is based upon a keen understanding of your environment and three simple strategies that harness innate human behaviors. Make it easier for people to reach for you, come back to you for more and tell their friends about you. Humans are hardwired to be attracted to round shapes and bright colors —a holdover from our hunter-gatherer days. Most brands that have had success out of the gate have created an instinctive brand or package that people have noticed and picked up. Remember the first time you saw a brightly colored Method soap bottle and couldn’t help but reach out to touch its curves? What about the first time you pushed the Uber button and watched with wonder as the car icon arrived at your location on the map? Compared to the competition, both brands stood out in their environment and made it easy to reach for them. The risk for most marketers is continuing to follow category norms that initially made them great. U by Kotex saw an opportunity to out-compete in their environment. The sleek black packaging and minimalist branding was a breath of fresh air in a category cluttered with flowers, birds and shades of pink. Young women were attracted because it broke with the norms and spoke in the same modern voice as other brands in their life, making it the easy choice. Don’t assume that just because your brand follows the category that it’s best adapted to its environment. Just as humans are attracted to bright colors and round shapes, we also crave more of a good thing from a trusted source. Delivering on the same old niche will be insufficient to get people to come back in the long term. Therein lies the trick. Evolved, but trusted brands continue to solve problems, meet new needs and promise intangible emotional benefits at different points in people’s lives. Under Armour started off as a simple line of moisture-wicking undergarments for serious athletes. But how many sweat-free T-shirts does one person need? Now the second-largest sports apparel brand in the US, with Steph Curry and Misty Copeland as spokespeople, Under Armour has expanded its brand and product line to almost every level of athlete and every aspect of sport, including footwear, equipment and apparel. The latest evolution is the release of Health Box, a suite of fitness technology to compete with the likes of Apple and FitBit. Product, target consumer and actual business model have evolved beyond functional benefits to deliver on emotional determination from a trusted source, keeping people coming back again and again. As humans, we love to show off our knowledge and passion. Once we’ve found something that we’re loyal to, we can’t wait to tell someone else about it. Evolved brands transform customers into advocates — giving them the ammunition to look cool and smart. REI customers love to brag about their "cooperative" and the dividends they receive at the end of each year. For Black Friday this year, REI announced all stores would be closed and encouraged staff and the rest of us to get outside with its #GetOut campaign. Bucking the mainstream trend of deep discounts and long shopping hours, REI rather encouraged people to share their stories of being outside on the busiest shopping day of the year, using the #GetOut hashtag. Evolved brands provide multiple storylines to riff on and make sure that they’re doing it in a way unique to them. LEGO evolved to be one of the leading providers of a platform to tell our own stories. Having lost relevance, LEGO reenergized its business with licensing deals to bring stories back to standard brick play. Blockbuster movies and comic book franchises provide foundational narratives that anyone can build upon and iconic characters to reach for in store. Going one step further, LEGO Ideas is an interactive platform that invites fans to create, crowdsource and vote on user-generated product ideas with the chance of seeing your own LEGO idea on shelves. LEGO has transcended the building business and evolved into the story business, creating an army of LEGO storytellers. Evolution is the only means for long-term survival in any environment. Take advantage of our innate human desires for bright round objects, newness and showing off, and you’re on the path to a truly evolved, successful brand. Focus on the current environment your brand competes in and you’ll have the right strategy for a successful future. The world is littered with brands that tumbled from grace because the world around them changed and they didn’t. Just ask a polar bear. Ryan Lynch is managing partner with Beardwood & Co.